Pakistan's next general election will be held on May 11, marking the first ever transfer of power from an elected government to another in the country's chequered democratic history. After receiving a formal proposal from Prime Minister Raja Pervez Ashraf for setting a date for the general election, President Asif Ali Zardari announced this afternoon that the polls would be held on May 11. "The president announced the date as soon as the (proposal) was received from the prime minister a short while ago," said presidential spokesman Farhatullah Babar. 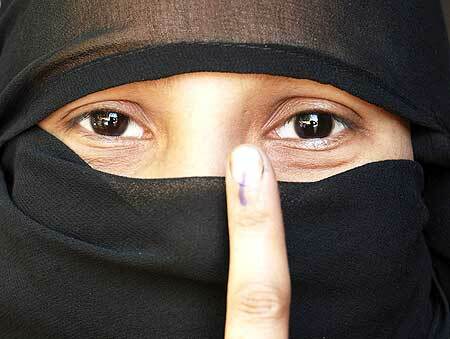 Officials said the election commission would formally announce the schedule for the polls within the next two days. The 342-member National Assembly or lower house of parliament was dissolved after it completed its five-year term on March 16 and, under the rules, polls must be held within 60 days. Pakistan's current government was the country's first civilian administration since independence to complete its full term. Since its founding in 1947, Pakistan has spent several decades under military rule (1958 - 1971, 1977 - 1988, 1999 - 2008). The country has seen three military coups and four military rulers since 1947. Zardari's Pakistan Peoples Party and the opposition Pakistan Muslim League-Nawaz led by former Prime Minister Nawaz Sharif are likely to dominate the race, while former cricket star Imran Khan will compete in an election for the first time. In a related development, an eight-member parliamentary committee tasked with choosing a caretaker prime minister to oversee the polls held its first meeting on Wednesday afternoon. The panel must choose a candidate by March 22, failing which the matter will be sent to the Election Commission. The issue of choosing a caretaker premier was entrusted to the parliamentary panel after Prime Minister Ashraf and leader of opposition Chaudhry Nisar Ali Khan were unable to agree on a consensus candidate within the stipulated three days. Awami National Party Ghulam Ahmed Bilour was unanimously elected the chairman of the parliamentary committee during Wednesday’s meeting. The panel will finalise its terms of reference before getting down to negotiations on the caretaker premier, official sources said. The committee was formed last night by National Assembly Speaker Fehmida Mirza and comprises four members nominated by the PPP and its allies and four more nominated by the PML-N. The members of the panel are Bilour, Farooq Naek and Khurshid Shah of the PPP, Chaudhry Shujaat Hussain of the PML-Q, and Sardar Mehtab Abbasi, Sardar Yaqoob Nasir, Pervaiz Rasheed and Khwaja Saad Rafiq of the PML-N.
Four candidates are in the race for the post of caretaker premier -- banker Ishrat Hussain and retired judge Mir Hazar Khan Khoso, who were proposed by the PPP, and retired judge Nasir Aslam Zahid and Sindhi politician Rasul Bakhsh Palejo, who were proposed by the PML-N.
Sources said Hussain and Zahid were considered the front-runners. If the parliamentary panel is unable to agree on a consensus candidate, the matter will be sent to the election commission, which will have two days to choose a caretaker premier. The 13th National Assembly during its 50 regular sessions passed 134 bills, including 18 private members' bills, over the course of 521 sittings.